This machine is exactly the same as the A2000, the only real difference was the name. 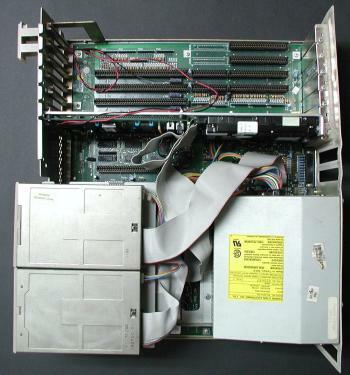 The A2000HD was supplied with the Commodore A2091 SCSI card and a SCSI Hard Drive, usually manufactured by Quantum (52MB). It is unclear exactly why some A2000's were labelled with "A2000HD" and some were just labelled as "A2000" because often those without the "HD" designation were also sold with Commodore A2091 SCSI cards and Hard drives. 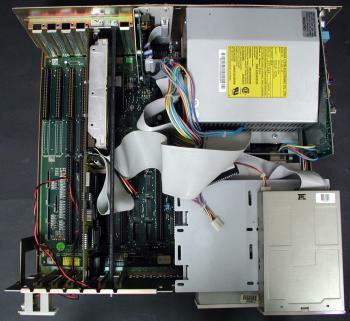 One possibility is that A2000's with the HD designation were pre-fitted with a SCSI Controller and hard drive by Commodore whilst the others were pre-fitted by the actual dealer.